Here are some sample WinCounter screens. Click the pictures to see a larger image. 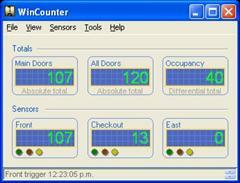 The WinCounter reporting module produces a wide range of reports by applying changes to a number of template reports. You can view the reports on-screen then save or print them if necessary. 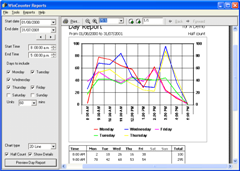 Click here to see samples of reports produced by the Reporting Module Here is an example of a report screen. 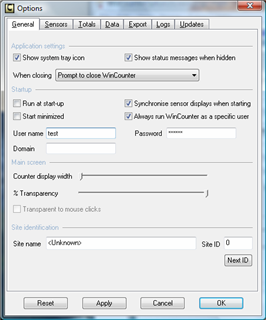 The options screen allows you to configure WinCounter. There are tabs to categorise the various configuration settings.